Four months ago when I was planning for a vacation and had zeroed in on Himachal Pradesh,a good friend of mine and a travel enthusiast, suggested that I visit Kasauli on the way to Shimla. Anybody traveling to or from Shimla have to stop at Kasauli for some amazing view points. We decided to stay there overnight and leave for Kufri the following morning. The hotel experience here was one of its kind. In any regular hotel, from the reception you will be taken to your room on a different floor, normally the ones above the reception, here our rooms were beneath the reception. The elevator doesn’t show -1, -2 etc as in if you are going to the basement but 1, 2, and so on. You think you are going under the ground but it isn’t, because the hotel is on a hilltop and are actually descending to get to your room which is over the ground and not really underground, though it seems to be. Confused? So were we! 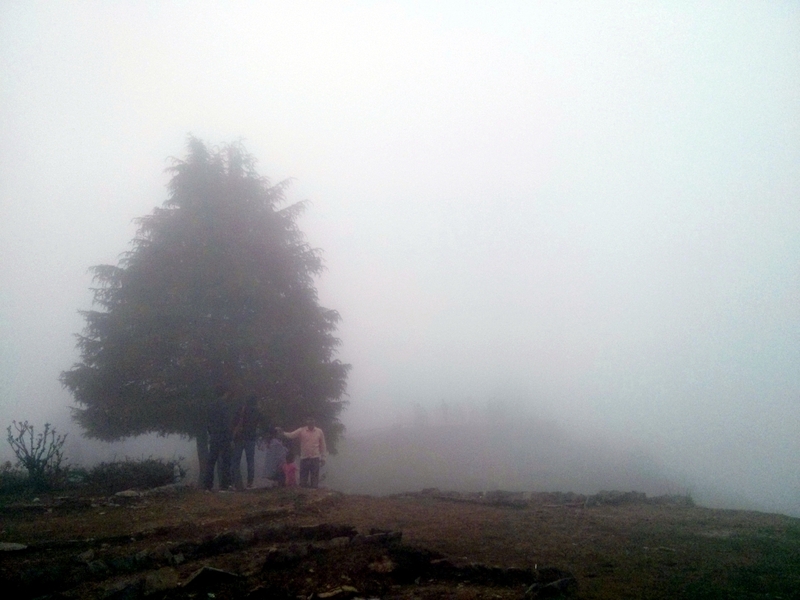 The following morning we headed out to Kufri, a small hill station in Shimla district. On the way we made a quick stop at Sankat Mochan temple. This temple has a small Ganesha temple along with Sankat Mochan Hanuman temple. I was surprised to see the Ganesha temple in South Indian style – Shankara Mutt style to be specific. 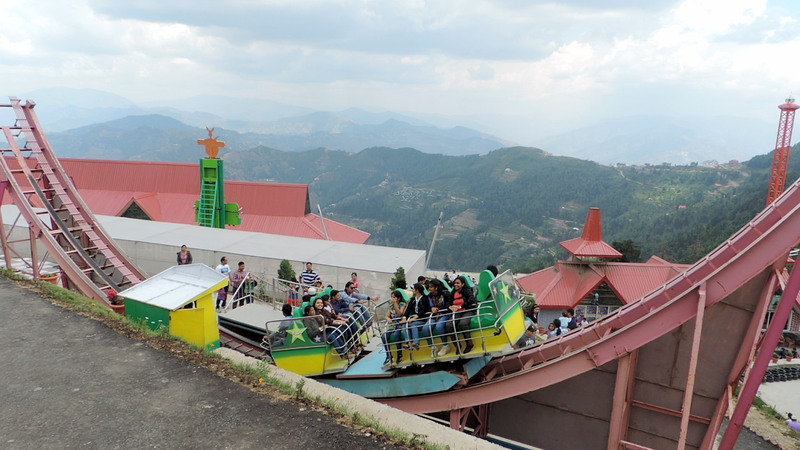 Himachal Pradesh has its first amusement park in Kufri called Kufri Fun Campus. We didn’t want to miss the hill adventure sports experience. Went on few fun rides. 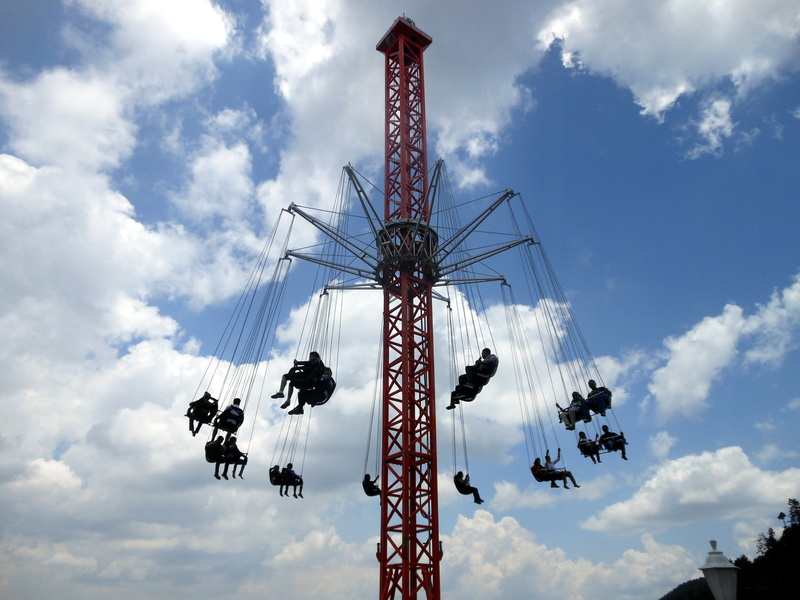 Apart from the adrenaline rush, the plus point of this amusement park was the view. It was around 3PM when we reached the top and this is how the place looked! The sky went from clear to foggy to rainy in a few minutes’ span. Shooting point has a mini marketplace up there. One can find people selling warm clothes and rain coats, shanty eateries selling tea, maggi and roasted corn. 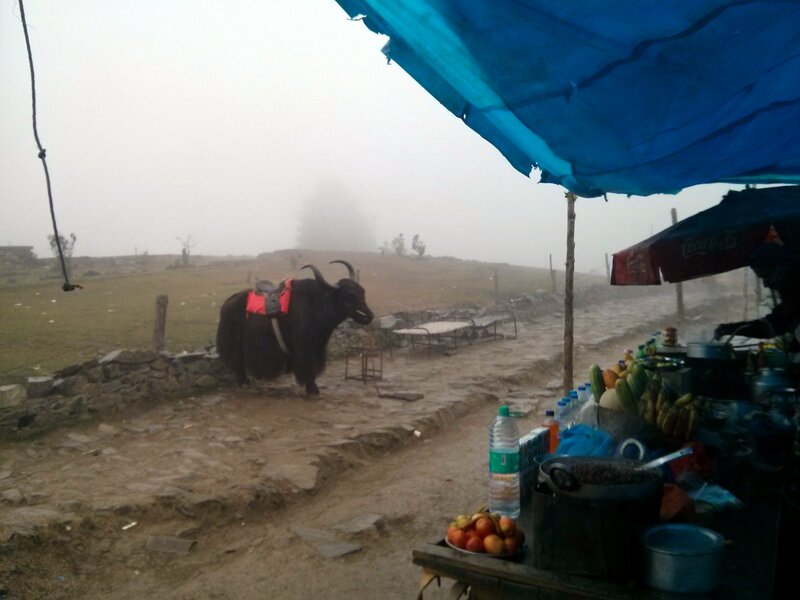 You can even sit on a yak and pose for a picture. We had to wait for the rain to subside to take another treacherous horse ride down the hill, get into the comfort of our car and ride away to Shimla. On the whole, it was an exciting and terrifying experience and I am absolutely glad I did it! On a busy mountain trail, with dense pine groves on either sides, a light drizzle every now and then, we reached the capital of Himachal Pradesh – Shimla, the Queen of Hill Stations, and once a summer capital during the British colonial rule. I think Shimla is the only place where you find people using an elevator to move from one road to another. This for me, was the most amusing part of Shimla! We were dropped off at Cart road and were told to buy a one way lift ticket to Mall road, which happens to be the hub of Shimla. There are two lifts or elevators operating on the Cart road to get people to Mall road, which runs parallel to Cart road. It’s like Mall road is over a hill and to get there you have to ride an elevator from Cart road. The first lift drops you off at level 2, where you have to cross a bridge to get to the other side, and take another lift to Mall road! It was truly a ‘Incredible India’ moment for me . 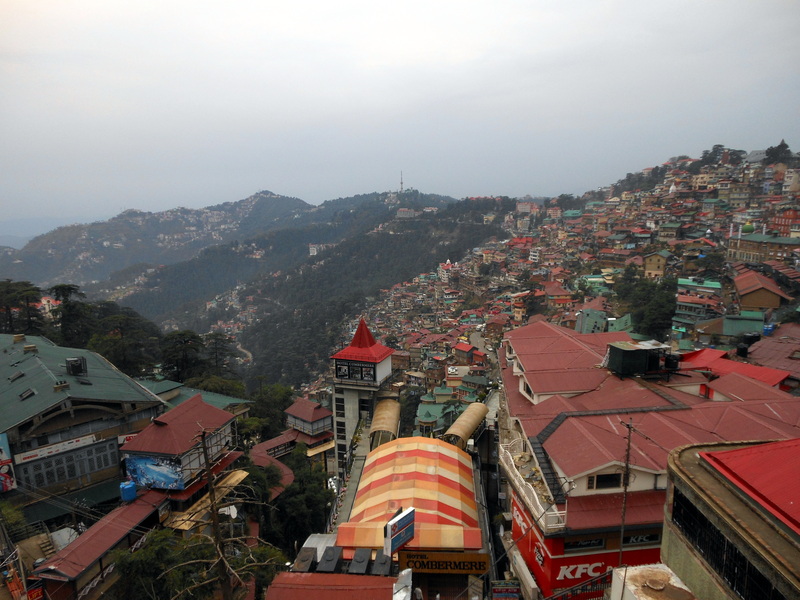 These elevators are so extensively used that, not only tourists but also the locals rely on this ‘mode of commute’ and I feel Shimla definitely needs a few more elevators, after seeing the serpentine queue to get a ride. We went for a stroll round Mall road post dinner. 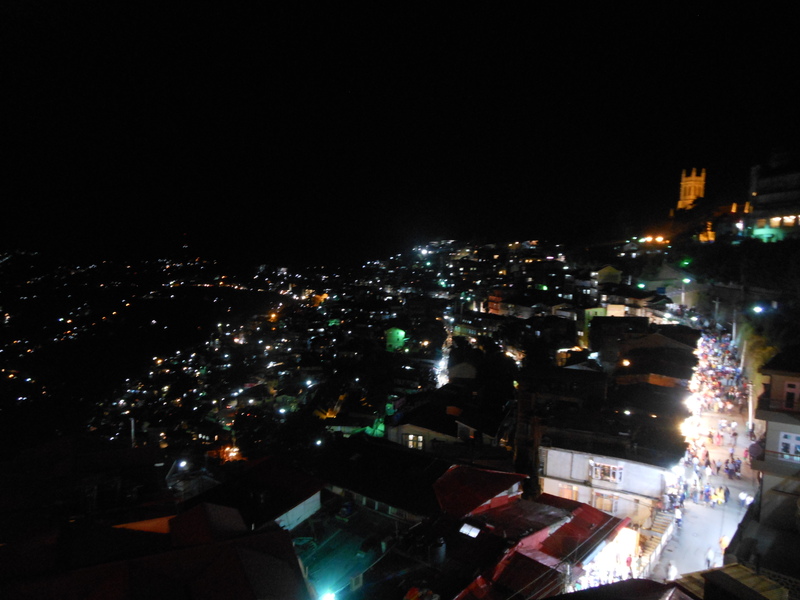 The main street of Shimla has a number of shops, restaurants, and cafe. We shopped for dresses, shawls and shoes and headed back to our hotel for a good night’s sleep after a busy day. Places like these urges me to explore more of India, to understand the people and their way of life. Travel more… for experience or sheer joy. Thanks Sugandha 🙂 You must visit Shimla sometime and tell me about the places I missed.